When Rachel, one of the heroines of Let Me Fly, first visits Atlanta, she stumbles into a Shermantown courtyard full of women who make a living by washing. This fiction is solidly based on historical fact. Aside from domestic service, the most common occupation for a black woman in post-Civil War Atlanta was that of laundry work. 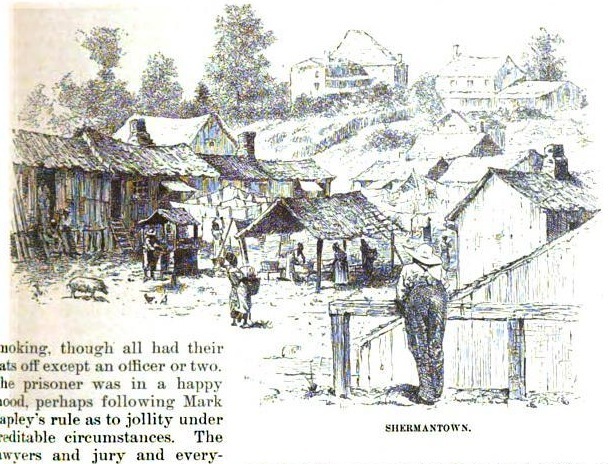 As late as 1880, this scene in Shermantown struck the artist who illustrated a Harper's Weekly article on Atlanta, and only a few years later, this photograph of a woman at the washtub (second from the top of the page) was taken in Augusta, Georgia.